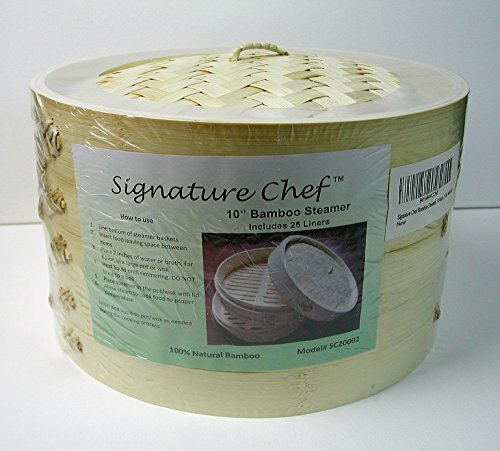 The Signature Chef 10" all natural bamboo steamer allows you to steam easily to preserve the nutrients in the food. 3. Place 2 inches of water or broth for flavor in a large pot or wok. Clean and Rinse with water only before and after use. Air Dry. Do not use Soap as it could be absorbed into the bamboo. If you have any questions about this product by Signature Chef, contact us by completing and submitting the form below. If you are looking for a specif part number, please include it with your message.